We have a proven track record of sales to show. 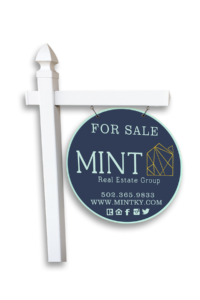 We know it is important to sell your home for the most amount of money in the shortest amount of time! We do not just use the MLS (Multiple Listing System) to market your home. The "T" in MINT stands for "thinking outside the box" and we do just that! We stand out from our competition, starting with our signs! Escrow begins when both the seller and buyer have a signed agreement to purchase said property. An escrow or title agent is chosen to act as an intermediate party to make the deal happen. The "Good Faith Deposit" that the buyer gives to you as a holding deposit is put into an escrow account. Escrow fees may be paid by the seller, the buyer, or both depending on agreement. If the seller is assisting the buyer in paying closing cost, the seller will credit the buyer at closing a percentage of the loan amount. Normally, the amount is stated in other provisions of the contract.